AWS is a cloud computing platform by Amazon. This comprehensive suite of cloud computing services allows for on-demand computing. Professional Certification helps one to use AWS effectively and in a way that creates an organized and automated environment opening up doors to more suitable job options for the certified professional. 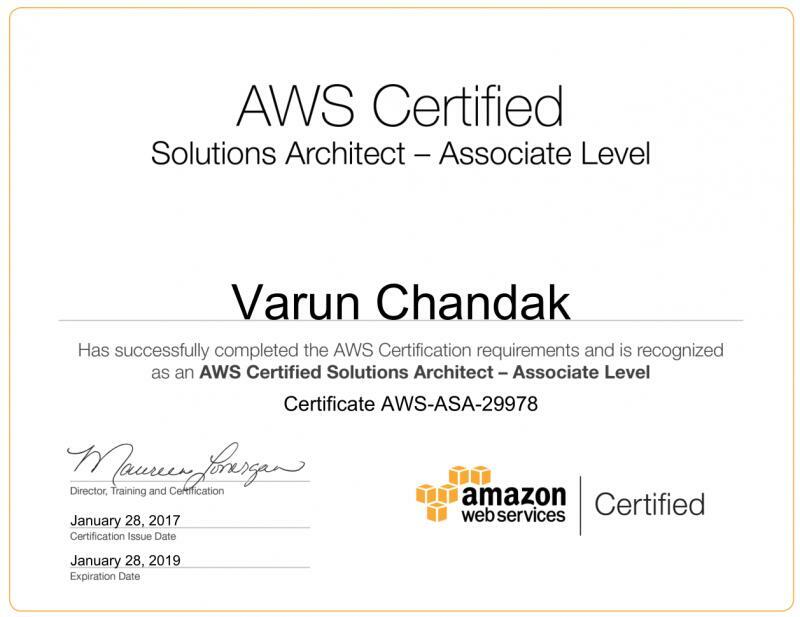 Certification proves that you know how to do the job, and AWS Certification provides this better than most. Certification is a matter of demonstrating your skills and establishing your credibility. Achieving credentials could open options to work on AWS-optimized projects, or present to clients a credible subject-matter expert. Cloud is the Future of business technology. AWS becomes the God of Cloud. AWS Certification reasonable and within reach. New Height to your expertise.